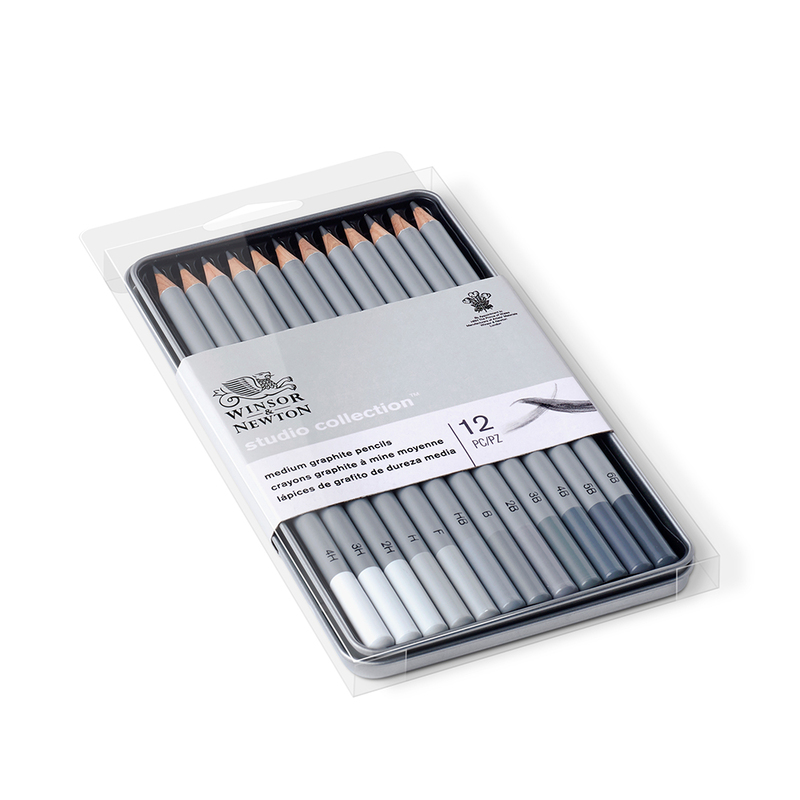 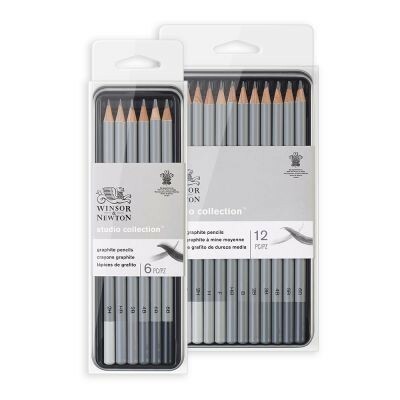 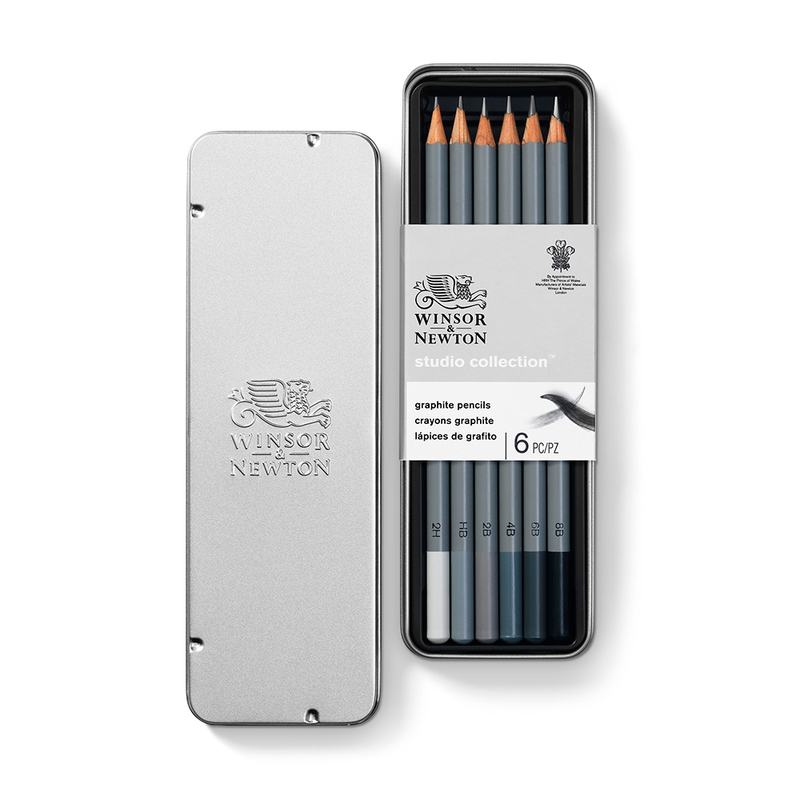 Winsor & Newton Studio Collection Graphite Pencil Sets provide artists with a collection of sketching pencils in a broad range of hardnesses. 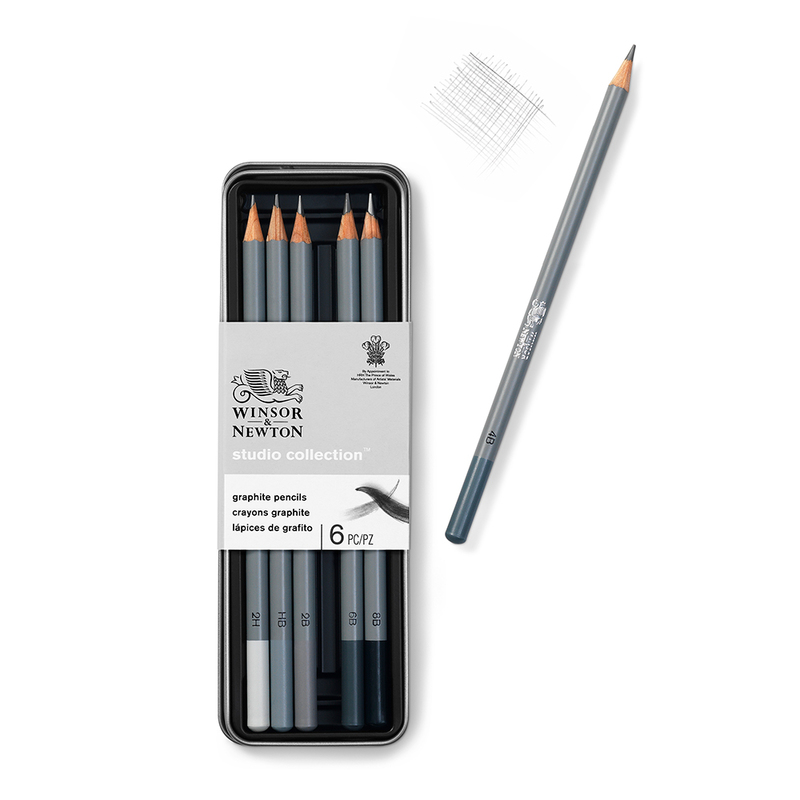 Studio Graphite Pencils are fantastic drawing tools that allow you to create everything from the finest details to the boldest, expressive sketches. 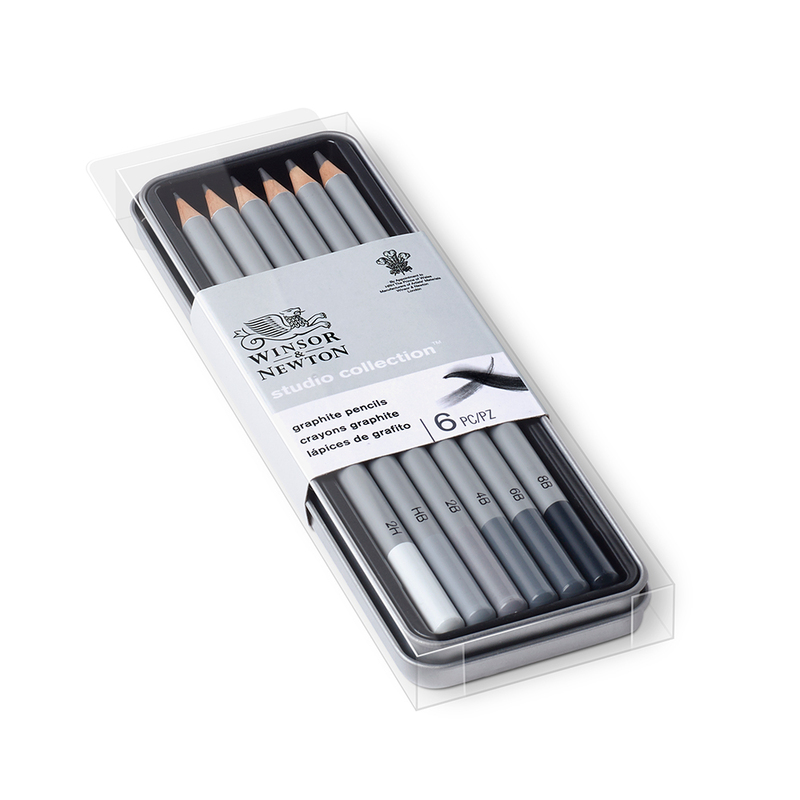 Their high quality graphite makes them extremely versatile and they are ideally suited for quickly capturing movement and inspiration when you’re on the go. 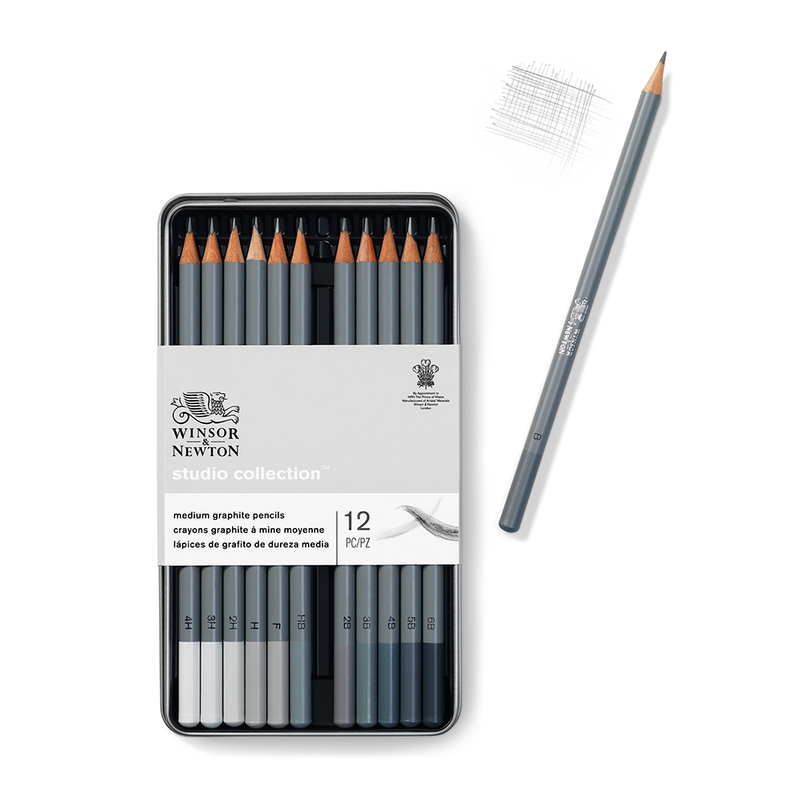 The range of hardnesses available makes these sets suitable for all kinds of different drawing techniques and tones - use the H grade pencils for delicate precision and B grade pencils for smooth, soft shading or for even coverage of large areas. 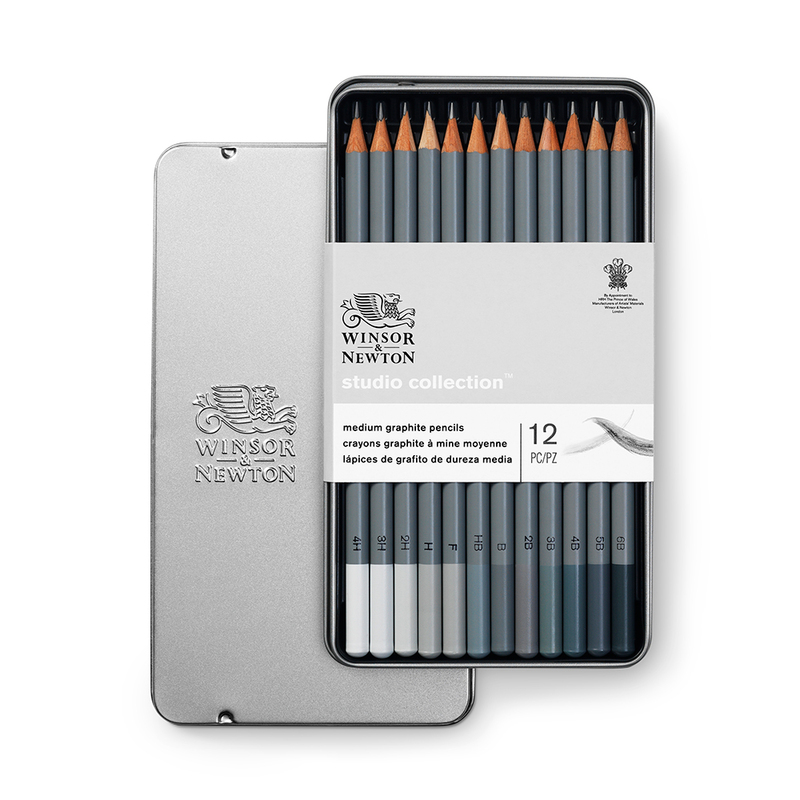 Now available in sets of 6 and 12. To see which pencils are included in each set please click on the ‘Contents’ tab above.